Updated: actual selections for the BeastMaster Dusty Battle: CooperedTot Vs The Well. contains whiskey from Stewart Distillery, Baltimore. Made prior to September, 1917. 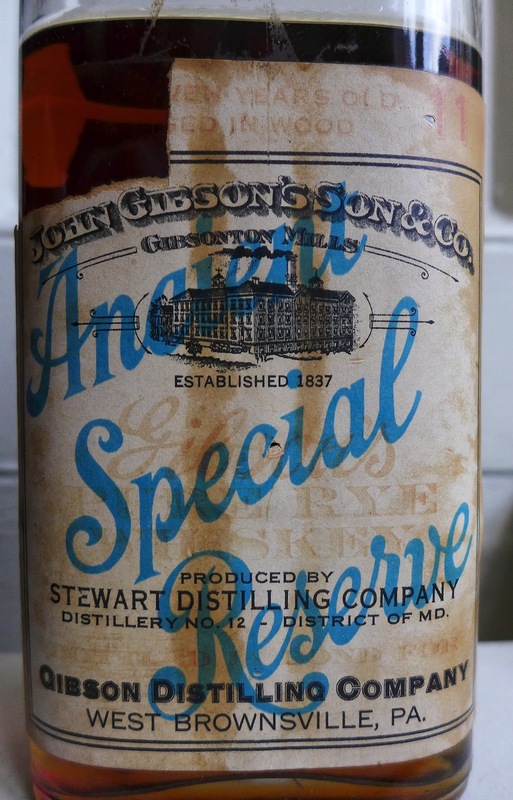 I Prohibition era bottling of Maryland Rye - labeled "Gibson" but actually "Stewart"
Distilled prior to September 8th, 1917 at The Stewart Distillery. Two stories in one because the bottle is labeled one way, but contains a different whiskey. This kind of thing was common in Prohibition when brands were consolidated into a few companies who had medicinal whiskey licenses to sell to pharmacies. 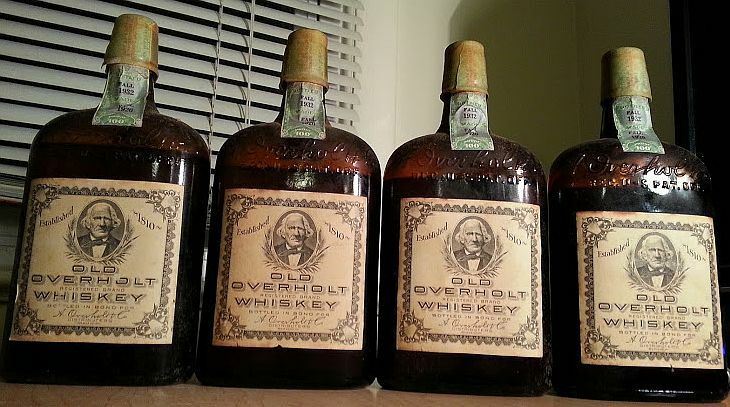 Actual whiskey was taken from closed distilleries and stored together in a smaller number of more defensible concentration warehouses and brands and spirits were often conflated as expediency demanded. In this case we have Lewis Rosensteil's Schenley operation - which would become the second largest liquor company in the United States (second only to American Medicinal Sprits, which became National Distillers after Repeal). Rosensteil's concentration warehouse was at Schenley PA, RD No. 2 - and sure enough - the back label on this bottle says that whiskey from Stewart Distillery, Baltimore was "bottled for" Gibson Distilling Co. of Brownsville, PA (the heart of the Monongahela region), at Schenley's concentration warehouse. These are interesting brands. Gibson's was a classic pre-Prohibition high-rye mash bill "red" Mongahela valley rye. Rosensteil purchased the brand and had obviously run out of the juice by the time this bottle was filled. 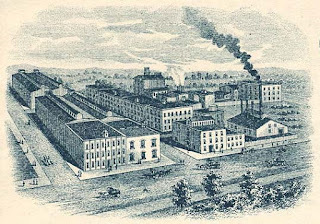 Schenley shifted production of Gibson's up to Canada after Repeal, and Gibson's remains one of the major brands of Canadian whisky to this day. It's fascinating to see that its roots are in PA rye. Stewart's is one of the brands of Maryland rye that disappeared with Prohibition. In a 1920s lawsuit, the plaintiff alleged that the Stewart's Rye Whiskey brand dates back to 1788 (it also appears as Robert Stewart Distillery in the late 19th century). According to tax records it was self-owned until 1901 when it was sold to the Carstair's Brothers - best known for Carstair's White Seal (another venerable Baltimore rye brand with 18th century roots. Carstair's White Seal became a blended American whiskey after WWII). This particular bottle has a front label that is age stated as 11 years old. On the back is that odd statement "Made prior to September 8th, 1917". The bottled in bond tax strip is missing so we can infer that this is probably a 1917-1928, or possible a 1916-1927 (or a 1915-1926). So this medicinal pint represents a rare opportunity to taste the whiskey from a vanished and historic Baltimore MD distillery which was part of the formation of Lewis Rosensteil's Schenley Industries in its heady formative days. II 1955-1961 Jim Beam Bonded In Bond blue glass "Grecian" decanter. 100 proof. How did mid-century Jim Beam differ from today's expressions? Find out. This lovely piece of mid-century kitch is a Mad Men era classic. The decanter is blue glass - so there's no lead risk. It feels and sounds full. This bourbon is should be a rich with that mid-century heavy vanilla and brown-sugar loaded sweetness and that characteristic Jim Beam "funk" (which some people tastes like a barn smells - and other people say is "earthy"). 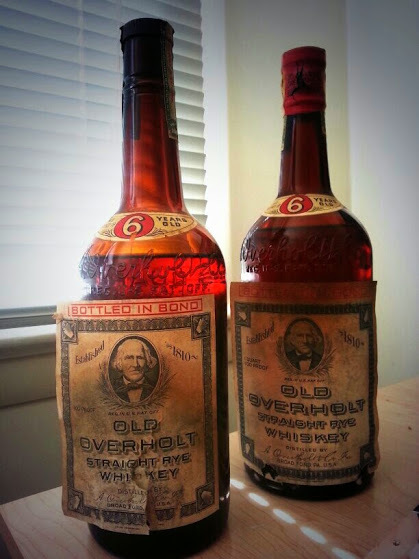 This is a classic case of a historic American distillery which is still in major production. Continuity and tradition will stand against industry changes in types of corn, length of mashing period, rising barreling proofs, shorter maturation periods, and other "enhancements to production". Bottle maturation might also be a factor. 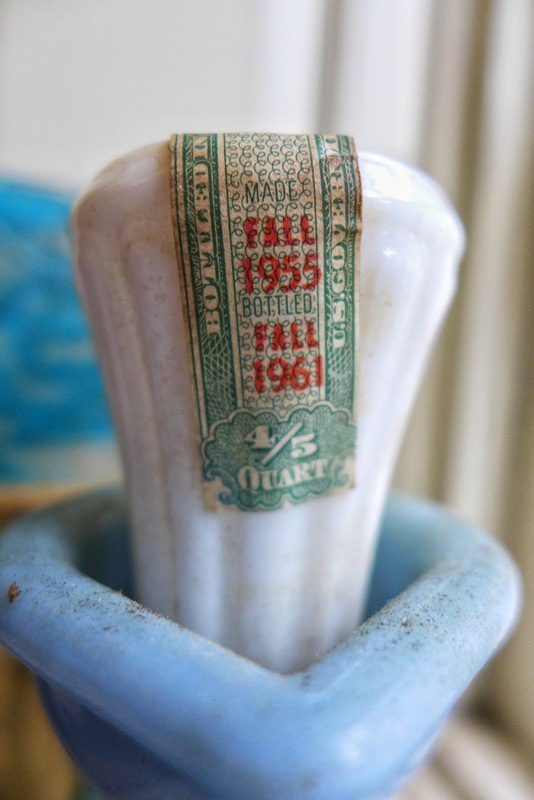 It's a half-century plus old decanter - who knows? That's part of the fun of cracking a dusty. 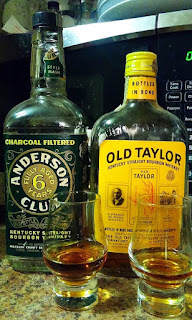 a 1978 Wild Turkey 8/101 and a 1976 Bourbon deLuxe from National Distillers. These are legendary delicious classics. the year and season of distillation - and of bottling as a 6 year old. 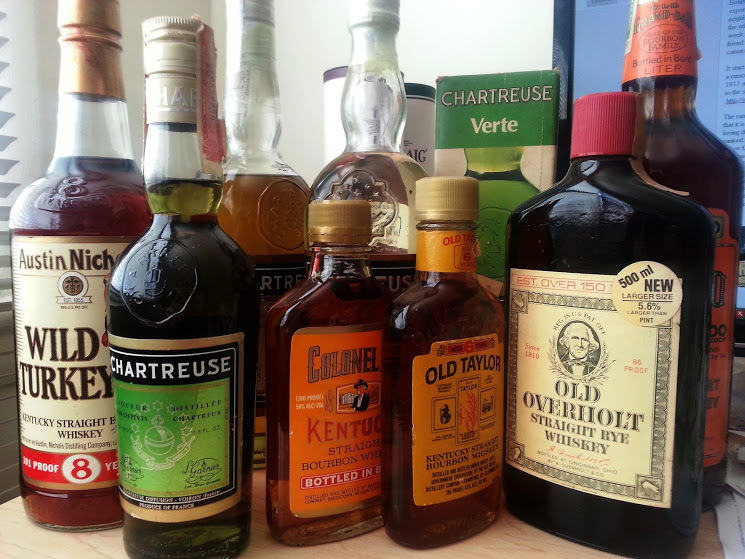 Why drink old found bottles? 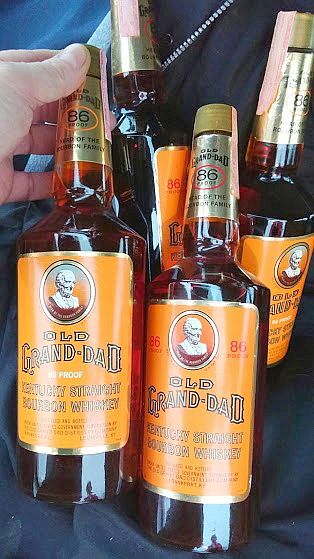 (The term "dusties" refers to whiskies which are no longer available, but which can be found in old liquor stores, orphaned on shelves). My friend Steve Zeller - the blogger of The Smoky Beast blog - sometimes tells a joke. "How many whiskey bloggers does it take to screw in a light bulb?" "A hundred. One to screw in the light bulb and 99 to write about how the old bulb was better!" or produced at vanished distilleries. But all joking aside, a lot of old bottles are really interesting, and many are better than the current versions and there are sound reasons why. Over the last couple of decades, whiskey has become a victim of its own popularity - with age statements disappearing and younger whiskey now standing in. Less flavorful faster-growing grains are used. Higher-yielding faster-acting yeasts make more alcohol out of units of grain, at the expense of complex flavors. Mashing periods have declined. Barreling proofs have increased. And maturation times have decreased. Each change has reduced costs and increased profits for distilleries - at the expense of complexity and flavor. 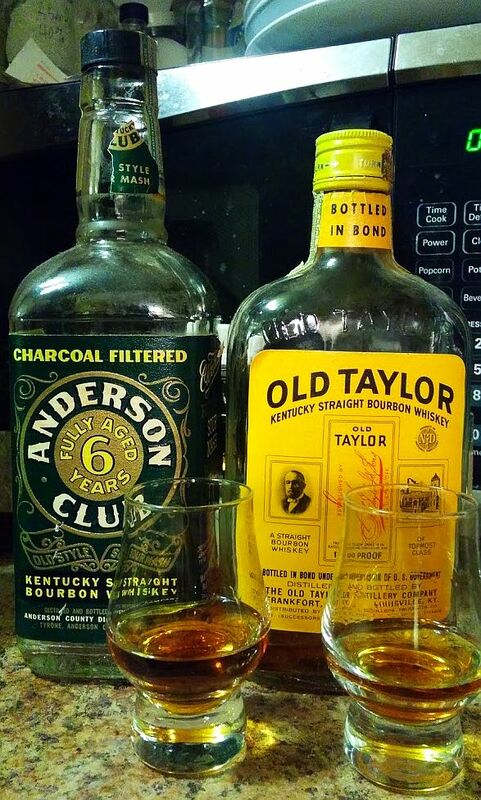 You can tell the difference by drinking old whiskeys. It's fascinating and often delicious. Dusties can be hard to find. If you want a guided introduction, join me in attending a unique event where dusty hunters score and pour. for the first BeastMaster event. 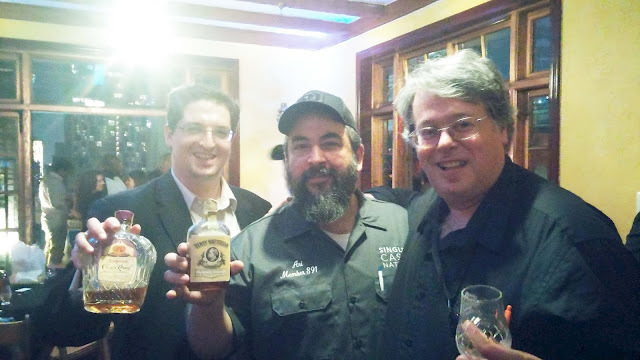 The last time I presented whiskey at a Smoky Beast BeastMaster event it was their very first public event and Steve Zeller and I were presenting a tasting that involved two dusty whiskeys: a National Distiller's Old Taylor and a 1973 Old Forester Bottled in Bond from 1973. We were comparing them against current expressions of the same brands. Now, I'm coming back to BeastMasters Club, in the new head 2 head contest format against my friend Joshua Richholt in a Dusty battle where we dusty hunt and bring our best finds to a public tasting. If you've ever wanted to taste dusties with me here's a chance. The format is simple Josh and I will be given $300 and we will find the best dusties we can. (If we strike out we can provide bottles from our own private collections). I've known Josh Richholt for a while and I've drunk whisky with him a number of times and I can attest that he is a talented dusty hunter with amazing taste. He founded an amazing bar on the border of Brooklyn and Queens called The Well. It has an amazing line up of bottles and beers on tap. It's built inside a 19th-century brewery. Richholt knows the history and is well connected with the history of alcohol. He will be formidable opposition. We source the dusties and pour them for everyone in attendance. Knowing me, I'll probably tell some stories about them. I don't know what bottles will show up. I'm going to be hunting hard because I want to impress. It sounds like a whole lot of fun. Where? At the BeastMaster's Popup Lair on Canal St. in Manhattan. Tickets are cheap at $50 and available here. Don't look at it! Dusties cover my kitchen table..
Josh Feldman, whiskey historian and author of www.cooperedtot.com has been collecting, writing, and all-around obsessing about whiskey for over a decade. 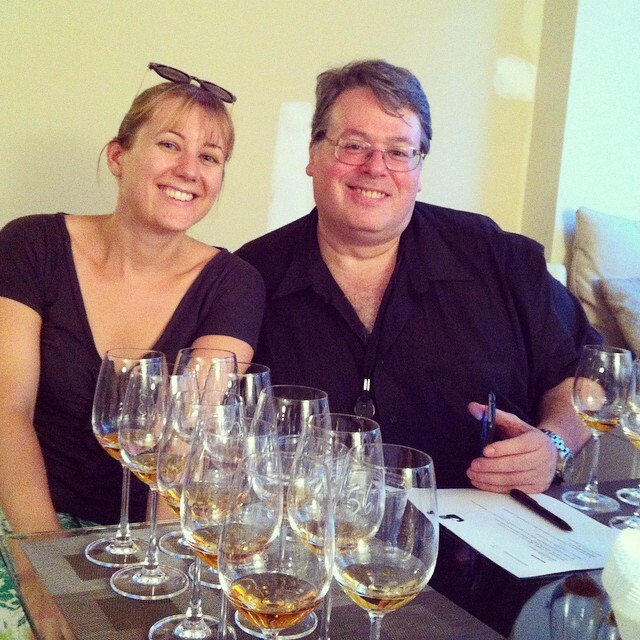 He was an early mentor to Steve and Dana as they began the SmokyBeast blog, generously guiding them into the unknown territory of shuttered distilleries, dusty gems, and the decades of history that surround these special whiskies. Josh Richholt is the co-founder of The Well. Dubbed the “biggest local bar you’ve ever seen”, The Well boasts 200 beers on tap, a tasty whiskey selection. and a mammoth outdoor music venue. 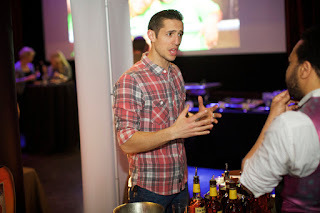 We caught Josh sneaking a bottle Jack Daniels into our “One Bourbon, One Scotch, One Beer” event. Little did we know it was a 1960’s Jack Daniels (which changed the move from sacrilege to bona fide). It turned out that Josh had come directly to our event from a successful dusty hunt of epic proportions. Each contender will bring two dusties from his private collection for your consideration. You will vote to decide who shall hold the belt as BMC Dusty Champion. We’re very excited to be able to share this special event with you. Don’t miss out! 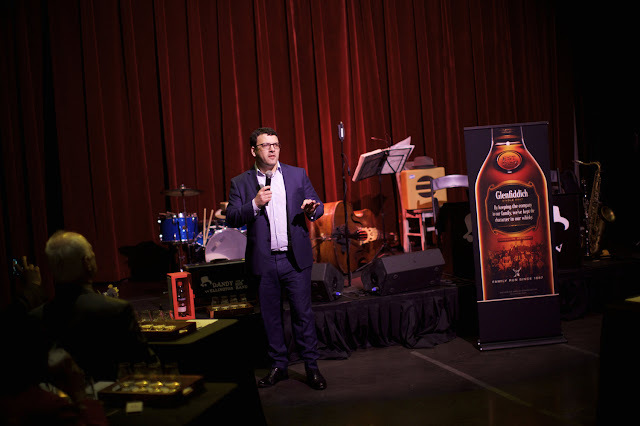 What Makes The Water of Life Whisky Event Extraordinary? 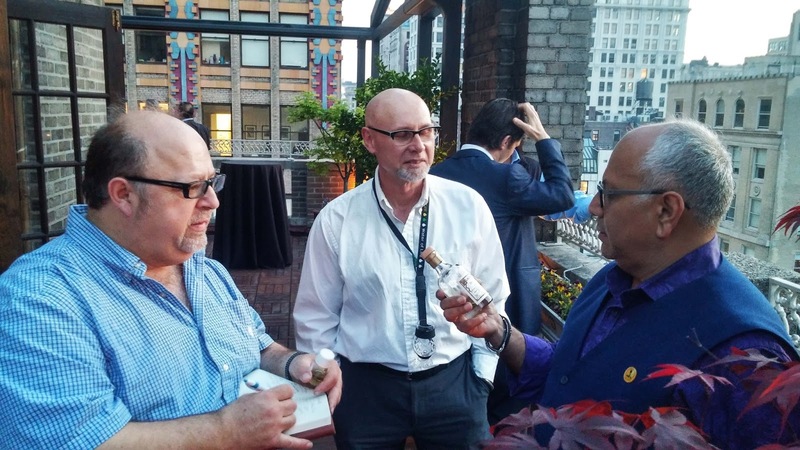 What is the best whiskey event in the world? Indeed, what makes a great whisky event? Great whisky to be tasted, to be sure. But comfort, decadence, and camaraderie have evolved, for me at least, to be almost as important. 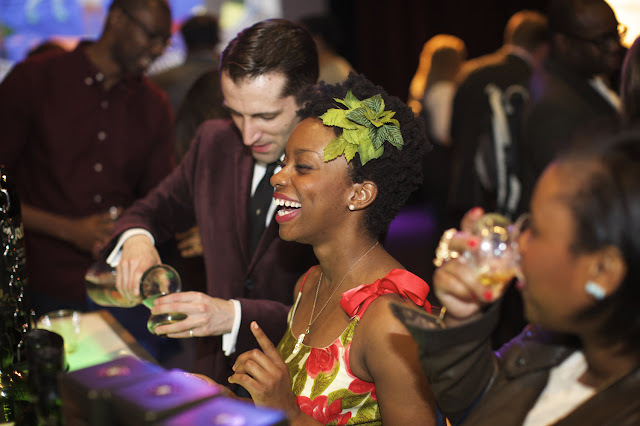 I'm going to make the case that Matt Lurin's Water of Life just might be the ultimate whisky event. I'm going to lay out my reasoning in detail and back it up with photos and descriptions of last year's astonishing event and details of this year's which continues a dramatic evolution towards whisky event greatness. This event is going down May 18th 2017 and you'll want to attend and pony up for one of the VIP ticket options (and there are more than one). Read on. 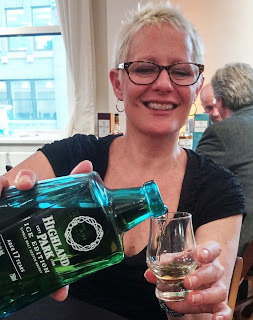 Why go to a whisky event at all? The usual answer is - to taste a widely among current offerings - learning a lot. The other reason is to reconnect with friends - and make new ones. 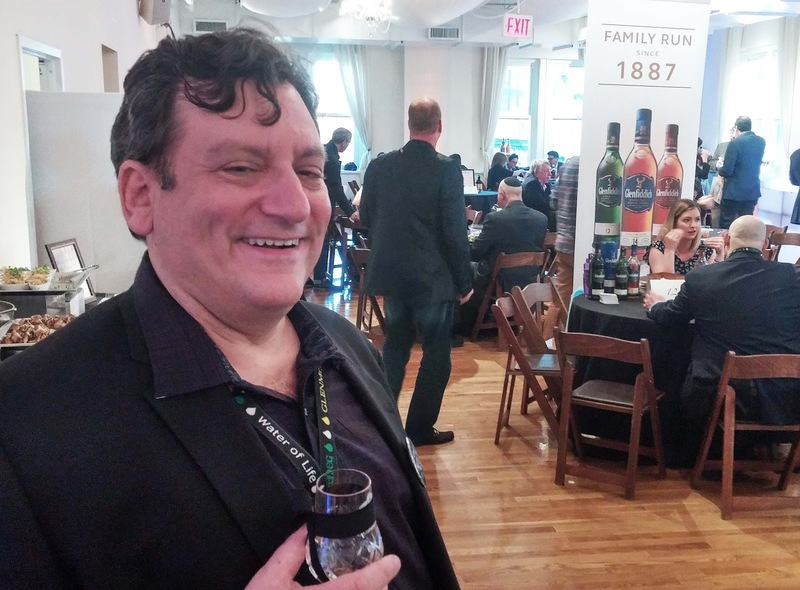 The classic format, which I associate with the parent of modern whisky events: WhiskyFest, involves a large bourse with many tables each devoted to a given distillery, brand, or distributor. People crowd around - Glencairn glasses extended - vying for a pour. Presenters run through their spiel quickly - stating the same thing over and over to a disorganized swirl of people. Over the course of such an evening, you spend most of the time standing. Most of the drams are drunk too quickly - and too soon after the pour, lacking time to open up. You run into friends, connect, lose them again in the crowd, and if you're lucky to reconnect. Most whisky events - even the best ones (like the extraordinary Whisky Jewbilee) - tend to run like this. They often have VIP sessions which are classroom style with sit-down tastings - but they tend to be at the beginning which means cutting out of work early to make them a challenge. The Water of Life is inherently different, and the difference comes from the central mission which is charitable. Matt Lurin, the whisky enthusiast doctor who created it, developed it for a cause: helping cure a rare form of stomach cancer (GIST - gastro-intestinal stromal tumors) by supporting The GIST Cancer Awareness Foundation. Every attendee is helping this charitable cause and this higher calling imbues the evening with a sense of celebration and meaning. The main event (the non VIP ticket) is a sit-down format 'speed-dating' type of event where you sit with small group of 4-5 people at a table and at intervals move to a new table. 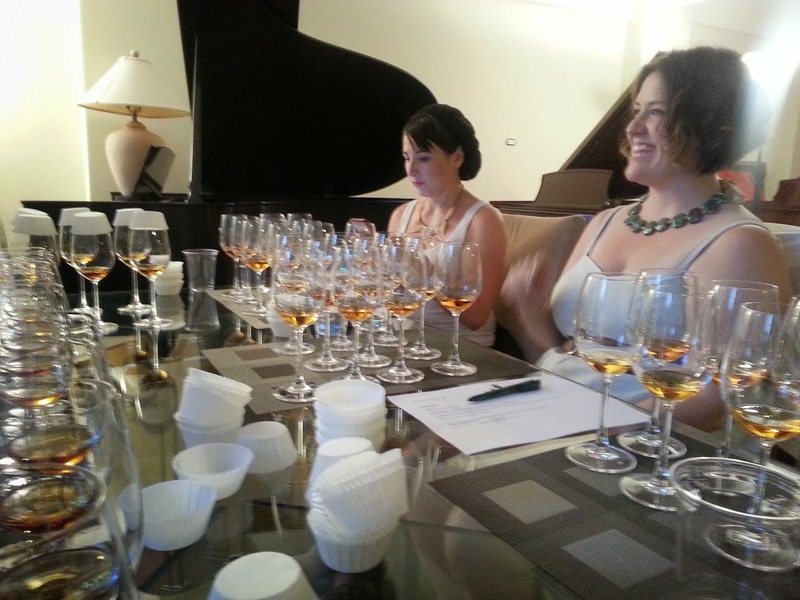 At each, you sit down and have the whisky representative's undivided attention for a chunk of time. This eliminates the crush and creates a more leisurely comfortable tasting session that fosters real conversation, whiskies opening up, and a feeling of luxury and ease. There are hors d'oeuvres, dinner, and dessert and the option to buy an additional ticket for cigars and terrace access (normally a VIP only perk). This year, Matt has something special planned with different focuses available for both the standard and the VIP tickets. You can choose either "The American Whiskey Trail"(which debuted last year) which is about Bourbon and rye, or the "Island Getaway" which is about Islay Scotch. You can also choose "A little bit of everything" which omits the specific focus. You can specify Kosher or non-Kosher meals. The food was excellent in 2015 and 2016. 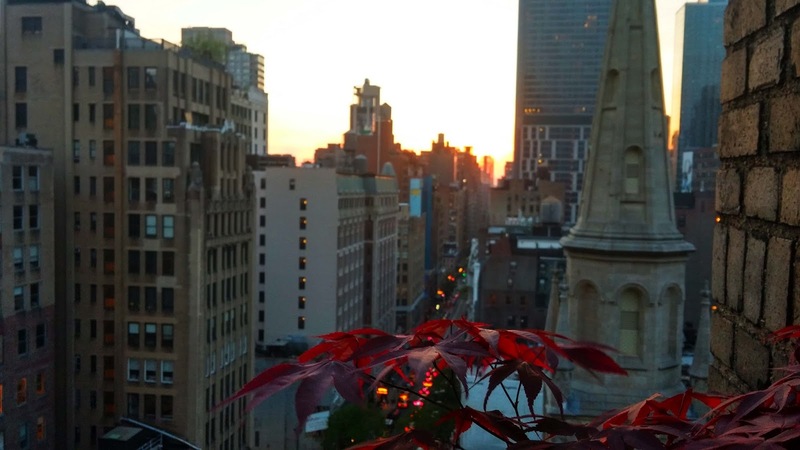 VIP adds special pours, a beautiful cut crystal glass and that cigar terrace (which has special pours). 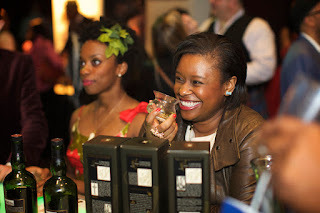 If you want to really experience what makes The Water of Life amazing you need an ultra VIP ticket - even more than at just about any other whisky event. It comes back to the charity angle again. This basis of the event in charity motivates presenters in a special way. At the 2016 ultra VIP sessions, extraordinary people brought extraordinary drams. A 50 year old Dalmore was served at the apex of an extraordinary flight. Josh Hatton, impresario of The Jewish Whisky Company, Single Cask Nation, creator of the Whisky Jewbilee, and also brand ambassador for Impex, led a VIP session with the very cream of Impex's offerings. 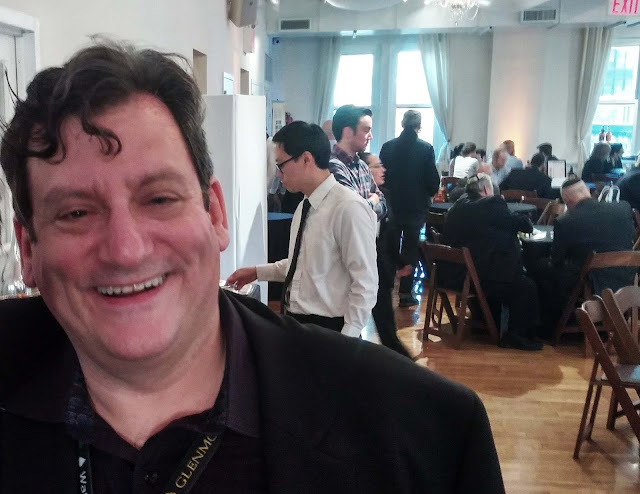 The impresario behind New York's greatest whisky bars, The Brandy Library and Copper and Oak, Flavien Desoblin brought an astounding array of Japanese whiskies from his private collection - most of which I had never heard of or seen before. They were incredibly delicious. And, most amazingly of all from my perspective, was Joe Hyman's session which included a pre-Prohibition Belmont Bourbon - one of my unicorns, and medicinal pints, WWII era Scotches and Canadian whiskies and more. You just don't see whiskies of this rarity and caliber at ordinary whisky events. Unlike Germany's dusty smorgasbord Limberg where rare antiquities are on sale by the dram, to be had standing, these VIP sessions were included with the VIP ticket and were convivial, seated, leisurely, and extraordinary. 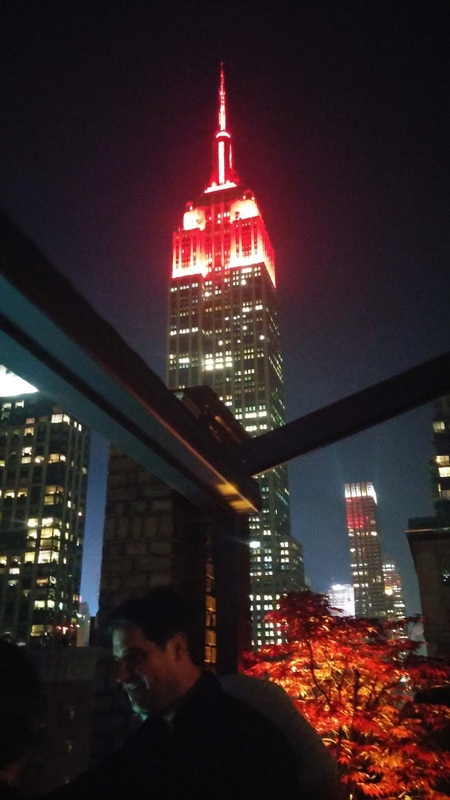 These VIP sessions came out of the love the NY whiskey community has for Matt Lurin and his cause. 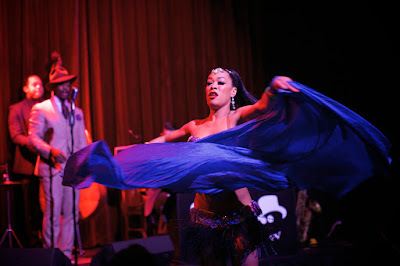 It evokes generosity and people came with their A-game and it really showed. 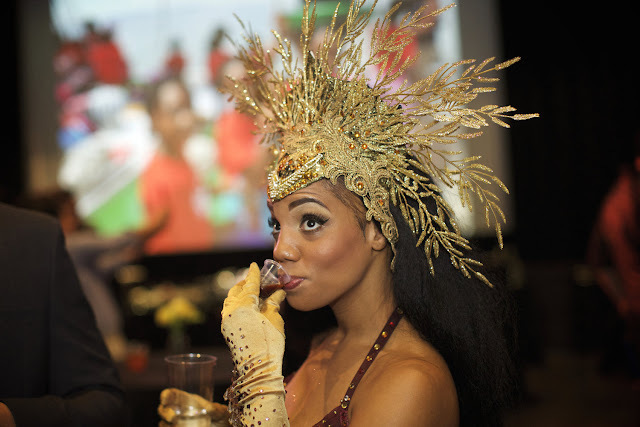 Last year the VIP venue was gorgeous and the cigars were delicious. I love that he has created a way for standard ticket holders to get access to this. All this luxury and charity doesn't come cheap. But this isn't a regular whisky event. It's for a cause - and it's something special. The standard tickets are $275 and the VIP tickets are $400. 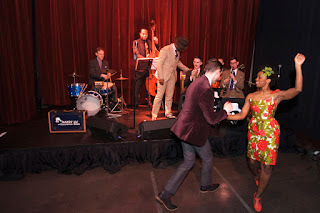 Use this discount code to get $25 off standard tickets and $50 off VIP ones: "gcaf2017"
Here are a few more photos of the 2016 event. Notice the smiles. The warmth and joy are real. 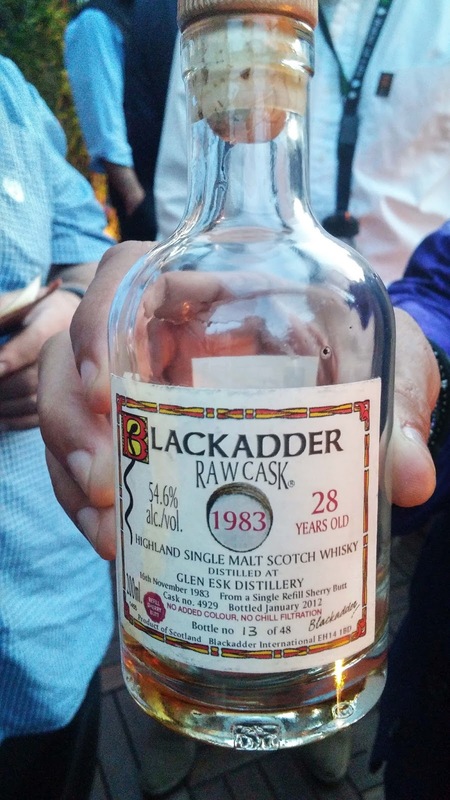 It was the best whisky event I went to in 2016 and may have been the best I have ever attended. I'm excited to see Matt's assault of whisky event greatness continue to evolve in 2017. Steph Ridgeway spreads HP joy. but not at any other show. 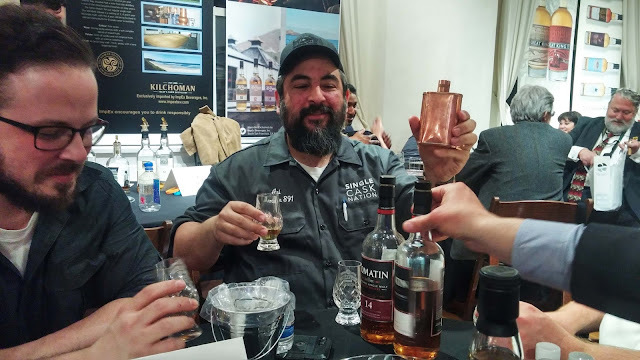 Ari Susskind pours Tomatin, and also something dusty and special in his copper flask. 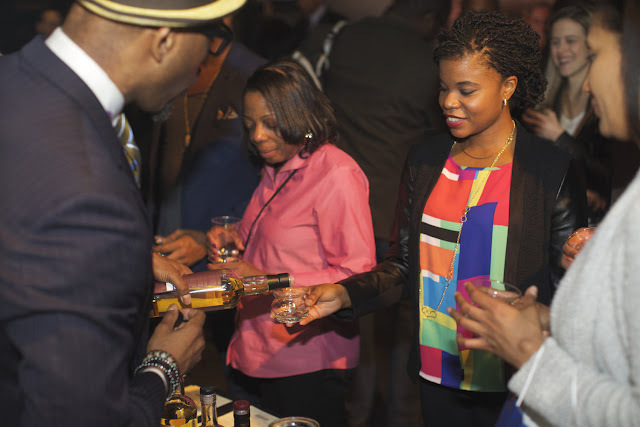 I'm headed to the Harlem Whiskey Renaissance 2017 tomorrow, Thursday March 30th, 2017. It's a whiskey show - where you get an engraved Glencairn glass and can visit tables where brand ambassadors will take you through their lines - but you also get a lot more. Live jazz music by Dandy Wellington and his Band with burlesque acts by The Maine Attraction and Calamity Chang. Also an awesome raffle and charity auction, cigars, chocolate, food, and a great vibe. There are a ton of whiskies on offer (I'll put the list at the bottom). There are VIP tickets which include a master class tasting five different Heaven Hill mash bills and another contrasting Corsair, Leopold, and Charbay offerings. Also, VIPs receive the book "Distilled Knowledge: The Science Behind Drinking’s Greatest Myths, Legends, and Unanswered Questions" by Brian Hoefling. 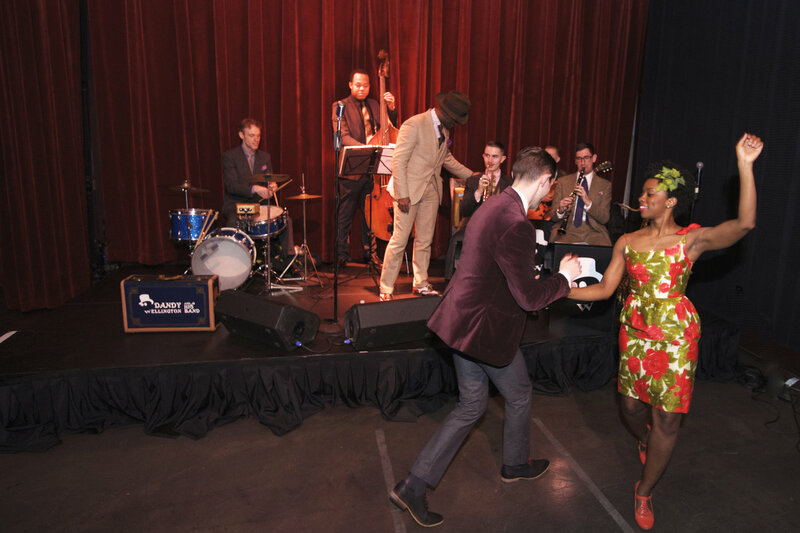 Dandy Wellington and his band jazz up the joint. 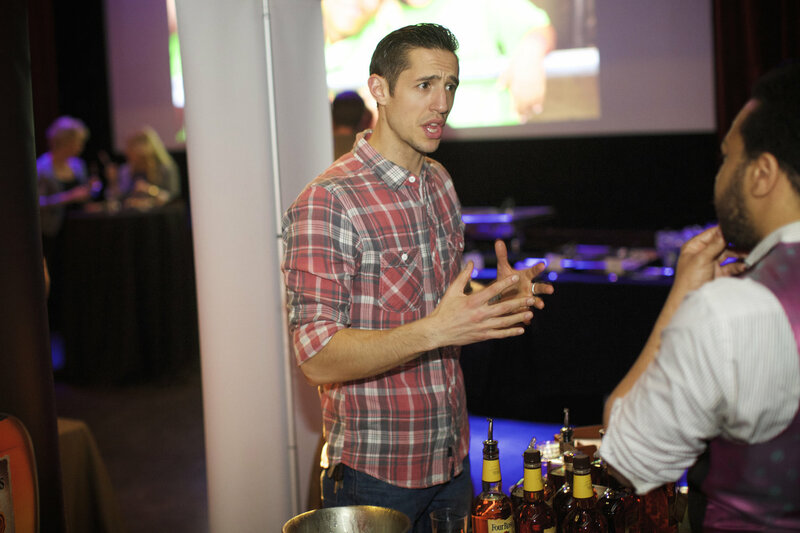 Jake Cahill pouring Four Roses Kentucky Bourbon. Sounds like a fabulous time. Join me there. New Study "Proves" You Can't Taste The Difference Between Single Malts And Blends. Or Does It? It is a classic truism in the malt whisky world that single malts are "better than" blends. The usual reason given is that single malts are free of the "inferior" grain whisky. It's been popular in the whisky blogosphere to debunk this conclusion, usually by pointing to certain high-end blends and grain whiskies which are so good they stand up to any spirit. The point is valid: high-end grain and blended whisky can be as good as all but the most incredible single malts. However, the reputation of single malts as a category remains, and for good reason. Single malts have an extraordinarily wide gamut of flavors: from 'honey and heather', to 'richly sherried', to 'powerfully peated' and all sorts of distinctive flavors in between. Alternately sweet, or dry, or phenolic, grassy, smoky, floral, shy or huge, malt is a chameleon which is a terrific carrier for flavor factors such as malting method, wood management, and terroir. For many single malt enthusiasts, this wide gamut is the exactly the point. Where bourbon, rye, rum, and brandy can often win out on richness and intensity of their distinctive flavor signature, no spirit can hold a candle to malt for such kaleidoscopic variety. 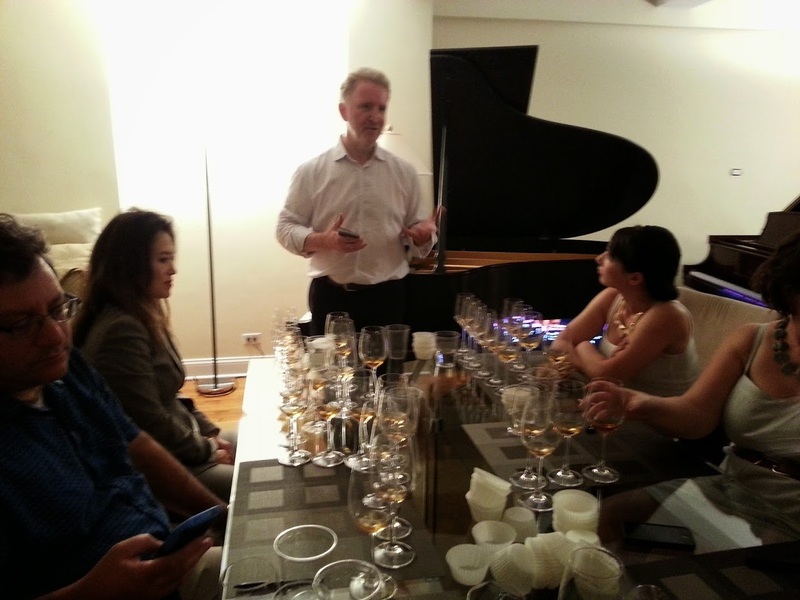 Could you tell single malts from blends if you were tasting blind samples? Experience has taught me that it can be devilishly hard to identify what you're drinking when you aren't told anything up front. (I did a double blind tasting of American and Canadian rye whiskies and failed to tell which was which. Then, there was the time that I mistook a rye for a Bourbon (see sample #1 in a Smoky Beast blind tasting). And, one time I actually won Dramming.com's first blind tasting competition - and I didn't get a single identification right, just attributes like ages and proofs.) Still - single malts and blends and single grains whiskies. You should be able to tell them apart, right? Jennifer Lucille Wren (left) and Emily Ross-Johnson (right) at one of the USA tasting sessions involved in the research. Recently a piece of formal academic research came out which takes on this question and hopes to settle it empirically. The paper is called "The perceptual categorisation of blended and single malt Scotch whiskies" by Barry Smith et.al and it was published in a journal called "Flavor", put out by Biomed Central (sadly Flavor is due to cease publication after the next issue) - (DOI: 10.1186/s13411-017-0056-x). The standardized descriptors allowed the researchers to compare results across 92 different tasters in the three different countries and to chart the results. Here are the charts for the results of nosing these whiskies by experts (top chart) and non-experts (bottom chart) for example. Single malts are in blue, blends are in black, and the lone grain is in red. Single malts and blends are all mixed up - although I notice that the experts and the non-experts put a number of the whiskies in the same general areas (although not the grain - which veers drunkenly). 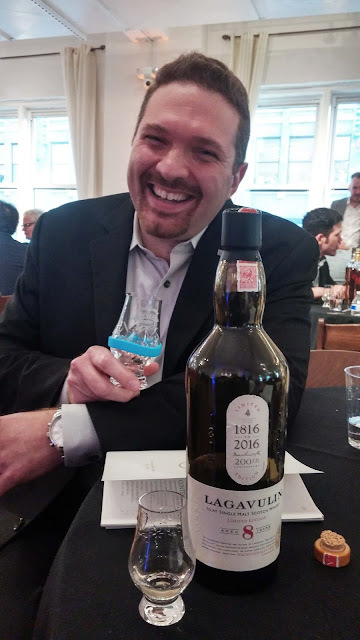 I had the pleasure of sitting on one of the tasting panels, along with some very distinguished members of the New York whisky community at that time (September 2014), including Matt Lurin, the man behind what is probably the best whisky event on the planet at the moment, The Water of Life (more on this blog about that event very shortly - meanwhile click the link to buy tickets), Emily Ross-Johnson who, at the time, was the founder of the Astoria Whiskey Society (now she is the founder of the Portland Whiskey Society - and you should join if you're out there - click the live link), Jennifer Lucille Wren, a whisky blogger and event organizer then, who is now the West Coast brand ambassador for Glenfiddich, and Susanna Skiver Barton, whisky blogger, journalist, and now manager of the Whisky Advocate's web presence. The experience of participating in the tasting gives me a personal perspective on how this study operated because I was there. "The present study shows that the distinction between blends and single malts, which is central to the production, presentation and marketing of Scotch whisky, does not correspond to a clear cut perceptual distinction for tasters." Barry Smith and his colleagues have structured an empirical blind study with a good methodology - so have they settled this topic? In my opinion, absolutely not. 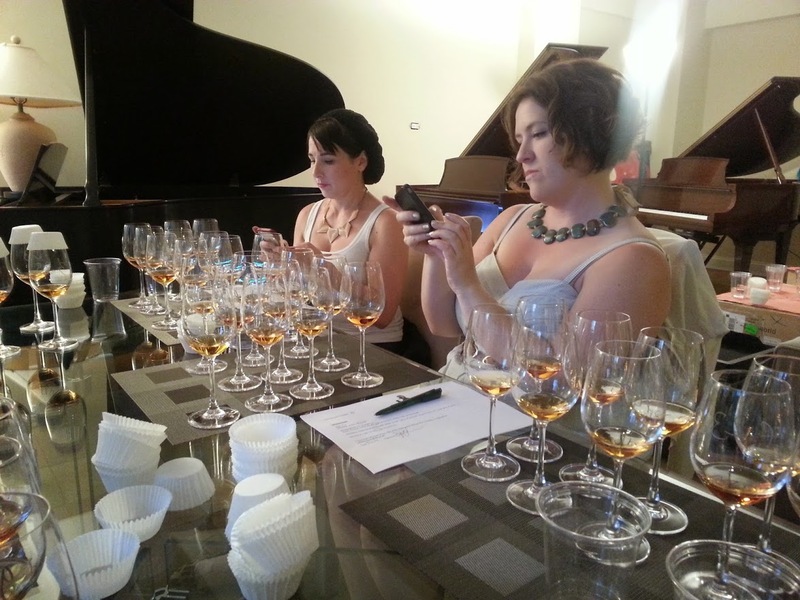 The problem has to do with the types of single malts and blends they selected for the study. All of the single malts selected - with the sole exception of Mortloch, fall squarely in the "honey and heather" flavor profile, and that's exactly true of the blends selected too. This isn't representative of those overall segments. When you walk into a liquor store and peruse the blended Scotch, many of the options are considerably lighter and less distinguished than Johnnie Walker Platinum 18, Chivas Gold 18, or Ballantine's 17 - or even Johnnie Walker Black 12. 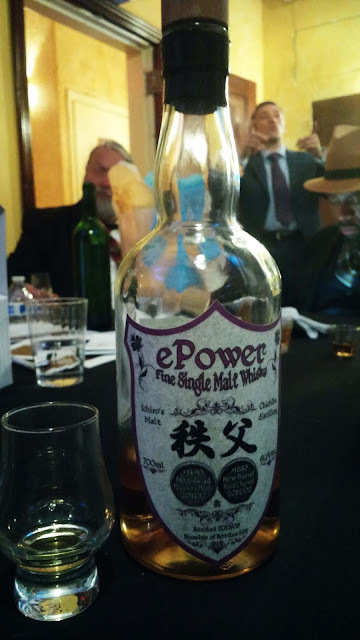 The likes of J&B, Johnnie Walker Red, Passport, 100 Pipers, Bell's, Clan McGreggor, Dewar's White Label etc... are far more grainy and less honeyed and floral than the unabashedly high-end blends in the study. Conversely, many single malt enthusiasts will often opt for single malts well outside the "home plate" honey and heather flavor profile - going for sherry bombs like Glendronach, Aberlour, or Macallan, or peat monsters like Laphroaig, Ardbeg or Lagavulin, or dozens of different interesting variants (the rubber of Ledaig, the pheolic Strathspey, the salt and honey of Old Pultney, Springbank's fungal notes... etc...) rather than the gentle likes of Cardhu, Glenlivet, and the base Glenmorangie. These single malts, delicious as they are, tend to be close to the center of the "honey and heather" "Highland" flavor profile that is exactly what the blenders at Diageo and Pernod Ricard are aiming for. To some extent, there is no way to structure a piece of scientific research which adequately captures this broad flavor gamut - precisely because it would be so easy to pick them out blind which would muddy the central question of whether something specific about single malts versus blends is objectively detectable. It's clear that the designers of this study selected whiskies for the blind tasting deliberately to have a very similar flavor profile with the specific aim of trying to see if tasters could identify the sole distinction with flavor signature held constant as much as possible. And, in that aim they have succeeded. I couldn't tell the difference. The preponderance of the other tasters couldn't either. And I bet you couldn't reliably tell the difference blind with this set of drams either. But, I argue that these selections don't represent the nature of blended Scotch whiskies and single malt whiskies generally. Looking at the segments as a whole, you and I would be far more likely to be able to pick out blends versus single malts when the full gamut of flavors is in the mix. Select J&B and Bells as the examples of blends, and Laphroaig 10 and Glendronach 15 as the single malts, for example, and then taste those blind. I bet I could pick the single malts and blends in that example that every time and you probably could too. It's those real perceptual differences that gave rise to the generalizations that aren't always true - but are true often enough to make them commonly held - which is why whisky bloggers are still writing pieces about how good blends can make you question those assumptions. So where does that leave us? Is there some Platonic ideal of "single maltness" which can be differentiated from "blendness"? No. Barry Smith et. al. have scientifically proved that, when flavor signature is held relatively constant, tasters cannot distinguish between single malts and blends. My complaint is that they left that qualifying clause out of the language of their published conclusion, and I find that omission misleading. It implies, to someone not carefully reading, that all this whisky epicureanism is some kind of snobby mirage and that no one can really taste the difference between the carefully crafted and inexpensive bulk stuff. That isn't the case at all - and it's not what Barry Smith et. al. meant to imply either. But they left the door wide open to that misinterpretation. In social media where many people will only read the headline, that incorrect message will be the one that people will learn most from this study. In the real world, you can actually taste the difference between many many single malts and many many blends all day long.